If Dr Ho Hua Chew, a bird specialist of more than 30 years, were a bird himself, he might be a white dove. Like the symbol of eternal hope and peace, Dr Ho is still holding out that the Government may change its mind about redeveloping Bukit Brown. 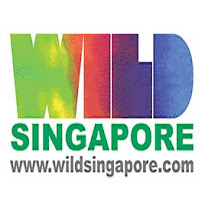 Dr Ho is a long-time member of the Nature Society (Singapore), having served as its president, conservation committee chairman, and now, its vice-chairman. He joined the group in 1971. Like other heritage lovers, the former philosophy lecturer has expressed serious reservations about planned roadworks that will cut into the hilly, largely untouched, tree-strewn habitat. But as other groups resign themselves to the inevitable, Dr Ho remains optimistic. 'Look at what happened with Chek Jawa,' he said. In 2001, following a petition by nature groups to save Tanjung Chek Jawa, a beach at the eastern tip of Pulau Ubin that is home to rare marine creatures, the Government, in a move that surprised even the conservationists themselves, called off its plans to reclaim the area. Dr Ho's love affair with Bukit Brown began in the early 1990s, when he first moved to the Thomson area. He would go bird-watching there, and take strolls. This year, he wrote an essay on the ecological importance of Bukit Brown's natural habitat, following fears that the cemetery would yield to redevelopment plans. He spoke of the area's 85 bird species, a few of them already endangered. The lush greenery, he said, would also help reduce carbon dioxide, ambient temperature and flooding in Singapore. Dr Ho said he will work with other nature and heritage groups to persuade the Government to retain Bukit Brown as a cemetery-park. By this time next year, parts of Bukit Brown will be unrecognisable. Its thick undergrowth, and thousands of tombs that nest in the cemetery's leafy hilltops, will be gone. In a few years, the hills will go too. State-funded efforts to document graves in Bukit Brown - the final resting place of many of Singapore's pioneers dating back to the 1890s - will begin next month. But its admirers are not standing idly by. After the Government recently announced plans to build a road that will tear into nearly a quarter of the 86ha site, a number of amateur historians have devised new ways - beyond pen and paper - to preserve the history of Bukit Brown, using cutting-edge technology. These methods employ social media, such as Facebook and blogs, mobile phone technology, and 3-D imaging software that can not only store information about the tombs on the Internet, but also pinpoint their locations via satellite, and even re-create a virtual environment that allows users to 'visit' Bukit Brown on their computers from anywhere in the world. dual, four-lane road into Bukit Brown to relieve congestion along the Pan-Island Expressway and Lornie Road. The news last month followed a May announcement that the area had been gazetted for housing development. Both times, the announcements were met with a rare show of public resistance. Letters poured in to The Straits Times Forum Page: While some supported the Government's foresight in urban planning, the majority argued that Bukit Brown, with its rich history and biodiversity, should remain untouched for conservation reasons. Even though the Government made public its plans to redevelop Bukit Brown in its 1991 Concept Plan, interest groups said the site was still zoned as 'cemetery' under the Urban Redevelopment Authority's Master Plan as recently as 2008. They were galvanised to speak up after they felt the authorities had not consulted them on the site's heritage value before it announced plans last month to build a road there. The Singapore Heritage Society said the public anxiety displayed in recent months over the loss of the cemetery suggests Singapore's nation-building project has been fruitful. Recent news of the road plans has driven people to the cemetery's hoary hills. Mr Raymond Goh, 47, a Singapore history buff regarded by many academics to be an expert guide in Bukit Brown, said weekly sign-ups for his guided tours alone have increased from 20 to 200 in just the last month. Next month, even more people are expected to fan across the area, bearing equipment to document information about the tombs that will make way for the new road. Paid workers will be led by anthropologist Hui Yew-Foong of the Institute of Southeast Asian Studies, who has been tasked with recording the tombs' details for study and safe-keeping by the Government. This documentation of Bukit Brown's graves is believed to be the first such project funded by the authorities, and the most extensive yet in redevelopment land works. The Government hopes to document some 10,000 tombs - about 10 per cent of known tombs in the entire Bukit Brown area - though the Land Transport Authority said the number of affected graves may be closer to 5,000. If this sounds like a lot of work - it is. Last week, Dr Hui said it may be a challenge to find enough skilled workers to do the job in time. The bulldozers are coming in September next year. He has just under a year to beat the clock. That is one reason some heritage buffs have taken to doing a bit of sleuthing on their own. Uneasy over concerns that the stipulated timeframe will not be enough to make a thorough record of Bukit Brown's history, they are bringing to the conservation effort additional firepower in the form of time and professional expertise. Some of these projects are already under way, while others are still in the planning stages, said the projects' leaders, who share their ideas over Facebook, and whose day jobs range from engineers to teachers to map-makers. For instance, a blog and e-database set up by Mr Goh earlier this year to document photographs, personal stories and old newspaper clippings about the buried dead in Bukit Brown have attracted thousands of visitors; on a Facebook page, lively discussions carry on, with members posting comments several times a day. And if Mr Liew Kai Khuin, 38, has his way, the academic in media and cultural studies would re-create the entire Bukit Brown universe online. Think multi-player Web games like Second Life, where users interact virtually in a 3-D environment, said Mr Liew, adding that a virtual Bukit Brown could include information about the graves and their locations for educational purposes. There are more present worries, however. It is likely that whatever form these high-tech ideas take, in reality, just like Dr Hui, they face constraints in terms of time and resources available, said Mr Yue. And the challenge is greater if they mean to cover the entire Bukit Brown site, he added. Heritage groups have asked the Government to push back its deadline set for March, because they want more time to ensure each grave is thoroughly documented. Asked whether other alternatives had been considered, the land authorities said the decision was made through a 'rigorous and established planning process' that included evaluating different options, and consultation with other state agencies. It also said the rest of the land would not be developed for another decade or longer. But at least a couple of conservationists are still hoping that the Government may yet be persuaded to leave Bukit Brown untouched. As for the others, they will be stepping up efforts to save what they can. Remember: tick-tock, tick-tock. Using social media, an expert guide of Bukit Brown is leading a digital revolution to put and organise information about the cemetery online. Since the Government announced plans to cut a road through the burial grounds this year, Mr Raymond Goh, 47, has doubled efforts to preserve the memories of those who call Bukit Brown home. This year, he set up bukitbrown.org - a kind of blog and e-database of the buried dead in Bukit Brown. On it, the health-care company director scans and posts old newspaper clippings of obituaries and photographs, in the hope of connecting families with their long-dead kin. Many of these documents are retrieved from the National Archives. The process is a laborious one. Mr Goh often relies on scraps of clues - such as the deceased's birth date, or plot number - to piece together the history of someone. To many then, Mr Goh is not just a guide, but has become a guardian to the area's forgotten graves. Mr Goh began exploring the burial grounds in 2006, out of an interest for Singapore history. He has not only helped connect families to their lost relatives' graves, but has also uncovered the tombstones of several pioneers, including Mr Gan Eng Seng, a businessman who founded Gan Eng Seng School, and helped to build Thong Chai Medical Institution and Tan Tock Seng Hospital. Mr Goh does not collect any fees for his detective work, though he does charge a nominal fee to guide weekend tours in Bukit Brown. He said helping to keep the memories of Singapore's early settlers alive was his reward. After five years of exploring Bukit Brown, the father of three teenage children knows the sprawling grounds like his own home. He visits every weekend. Sometimes, he pays tomb keepers to take care of abandoned tombstones; often, he scrubs them himself. In a recent entry on his website, Mr Goh posted photographs and information about a Mr Kam Peng Huat, who died in 1941. Mr Kam is one of several thousand who will give up their resting place for the new road by the end of next year. Mr Goh wrote: 'He has five sons and five daughters. I am sure Kam Peng Huat has a very big family of grand- and great-grandchildren now. 'Some of their little ones may want to know more about their great-grandparents. But his lease in Bukit Brown has run out. In a way, Mr Goh already has. Graveyards are hardly the place to use a mobile phone, but Mr Victor Yue hopes that will be the case for Bukit Brown Cemetery - and soon. The telecommunications engineer wants to bring mobile technology to the cemetery's old tombstones - a QR code that, when scanned with a smartphone, will download information about the deceased, or link to videos or photographs online about the grave. Short for Quick Response, a QR code is a small, square, black-and-white barcode that can store data, or link to online content. It is already being used in some cemeteries in the United States and New Zealand, but Mr Yue said he was inspired by a recent trip to Japan, where he saw the codes used with retail goods and publicity posters. The codes are especially useful in Bukit Brown, said Mr Yue, 59, because most of the inscriptions on tombstones there are carved in Chinese script. With online content about the graves put together by other Bukit Brown lovers, the codes can work as a guide to decipher what is written on the tombs for people who do not understand the language. It was this same question that inspired Mr Yue's other hobby. He is the moderator of an online Taoist e-list forum group, taoism-singapore, which, since its launch in 2004, has found a community of Chinese heritage lovers who speak mainly English. The group's some 500 members post photographs, ask questions, and those in the know help to decode them. Mr Yue said that, through the QR codes, some Chinese messages inscribed on the tombs in Bukit Brown can be preserved, and shared with everyone. Many of them exhort their descendants to lead moral lives. 'They teach values like filial piety and Confucian ethics,' he said. Like most first-timers to Bukit Brown, Mr Mok Ly Yng's reaction on seeing the Chinese cemetery's gently undulating hills, was 'wow, what a wonderful view'. Except, he wasn't physically there. He was at home. The 'view' he was referring to, was a three-dimensional (3-D) screen image he had produced using geographical data points, rendered in commercial-grade mapping technology. Mr Mok, 44, has one of the most uncommon jobs in Singapore - he is a freelance geographic information system (GIS) mapping consultant. Or, a map-maker. As a long-time map enthusiast who has been a member of the National Geographic Society since 1982, Mr Mok's interest in Bukit Brown Cemetery was triggered after he came across some global positioning system (GPS) points posted on a Facebook page dedicated to Bukit Brown last month. After that, the map-maker was hooked - as he probably knew he would be, he said. But his interest in Bukit Brown was not simply map-related.The former Ministry of Defence (Mapping Agency) employee was feeling reflective as he had recently moved out of his Holland Village home. Back in his room, Mr Mok dove into his library of maps and retrieved a topographical map sheet he had previously purchased from the British Library in London that showed the 3-D contours of the Bukit Brown site. Using that data, along with other information about the area he was able to download from the Internet, he produced a series of 3-D images of Bukit Brown, which he later posted on the cemetery's Facebook page. He also sent them to Dr Hui Yew-Foong, an anthropologist who is leading a team to document the graves. Mr Mok said it took him three days to finish the images. He added that what he produced was very basic - a 'miniature preview' of what mapping technology can do. Even so, to Bukit Brown's Facebook fans, what a wonderful view indeed. After an online petition he started in June to save Bukit Brown fizzled with fewer than 1,000 signatures, Dr Irving Chan-Johnson now hopes an Ivy League polish will put life back into the cause. 'I am mailing it to my friends so it gets more international recognition, since I feel the issues we are dealing with are critical to humanity,' said the Harvard University graduate. The assistant professor of South-east Asian studies at the National University of Singapore has good reason to put his fists up - he's already had his heart broken twice. The first was in 2008, when Bidadari Cemetery was exhumed; then, in 2009, when the Teochew Kwong Hou Sua cemetery in Woodlands Road followed. To Dr Johnson, Singapore's burial grounds play an integral role in an individual's sense of nationhood. In a letter published in The Straits Times Forum page in 2008, he wrote of Kwong Hou Sua's impending closure: 'Since independence, Singapore and its people have been on a constant quest to define a national identity. With the destruction of each cemetery, goes one slice of national history, he said. To create greater awareness of Bukit Brown's historical significance, the anthropologist is also organising a symposium with the Singapore Heritage Society and the Nature Society on Nov 19. It will feature heritage experts, including those currently working to document Bukit Brown's graves before next year's exhumation exercise.